Oh that feeling of accomplishment and satisfaction from fixing your malfunctioning appliance! There’s nothing else quite like it. Here’s the deal: You’ve run into a problem with your HVAC system, you’ve tried to fix it yourself, and you’re now at wit’s end. No problem, let’s get down to business in helping you to diagnose and fix the issue, starting from the obvious issues to the more involved possibilities. There’s a few topics that occur commonly. Most can be prevented with a little forethought, which you probably have already done. If not, a problem might have started, so let’s look at some of the issues that arise. The AC could ice up or freeze due to a number of reasons. The reasons include operating the AC in extreme temperatures outside the normal operating parameters, insufficient airflow across the evaporator coil, low refrigerant, and mechanical failures. The first thing to note is to never run the AC when the temperature outside is below 62° F. This will rule out the cold weather as a factor. After that, you can diagnose whether airflow issues are causing the problem. The cause of insufficient airflow could be dirty filters, which is one of the most common issues leading to freezing ACs. Use a high-quality air filter and replace it every 2 to 3 months. If the filter gets clogged, then the restricted air flow can cause your system’s temperature to drop below optimal levels, causing your air conditioner to freeze up. Next, check to see if the evaporator or the evaporator coil is dirty. A dirty evaporator coil can cause a lack of airflow across it, cooling it and causing your air conditioner to freeze up. Try cleaning your evaporator coil as your next step in troubleshooting an iced-up unit. Another cause of restricted airflow is obstructions in the ductwork. To check for this, open all air conditioning vents and inspect your ductwork for restrictions, leaks, bends or disconnected portions. If none of the above work, it may be time to check for dust and dirt buildup inside the registers, the duct connectors and the ductwork. Remove the vents and look inside for high levels of dirt. You may need to have your ductwork professionally cleaned to clear the blockage from the ducts. It may even be necessary to have the ductwork redone, as cleaning the ducts may not fully solve the problem. Just an aside – did you know duct tape is NOT for ductwork? It doesn’t even meet code. Many of the problems associated with a frozen AC may also cause an air-cooling issue. 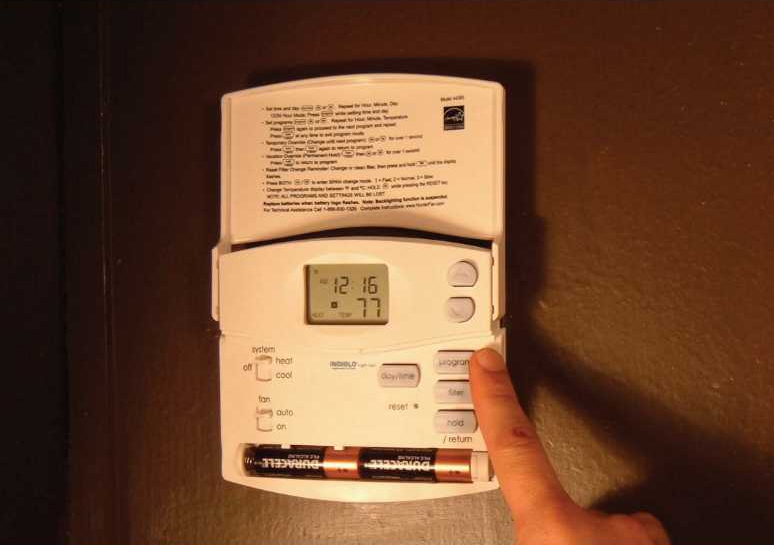 If the AC is not blowing cool air, first check to see if the thermostat is set to ‘On’ or ‘Auto’. It should be on ‘Auto’, otherwise the fan will keep circulating air even when it’s no cooling your home. More detailed instructions can also be found here. If it’s not the thermostat causing the problem, check for dirty air filters, which can cause airflow issues as described earlier. Clean or replace the filters as required. Next, check the outside unit for debris and dirt. 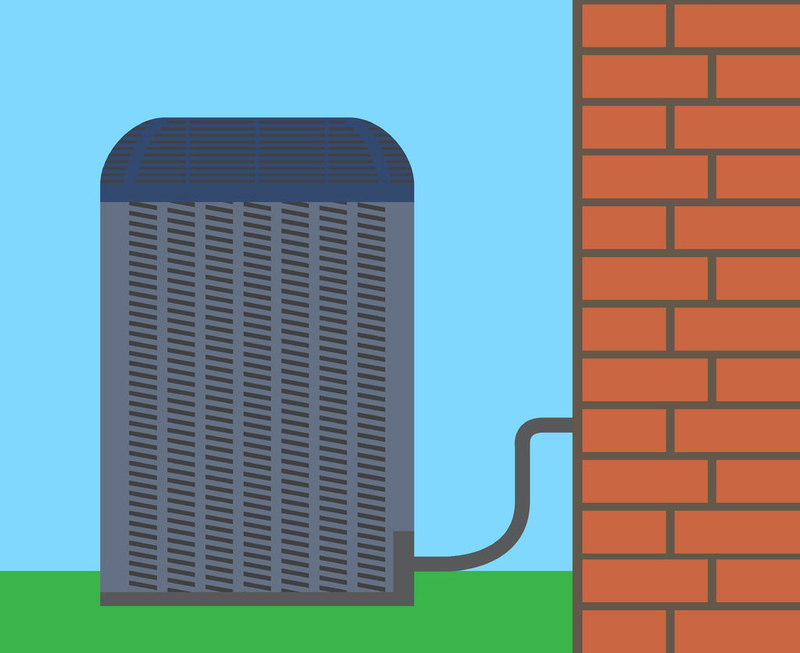 The indoors unit absorbs heat from the air and passes it to the condenser outside to dissipate into the outdoors air, but this won’t work if the unit is clogged with dirt. Spray the unit with a garden hose on a gentle setting to dislodge any stubborn dirt and ensure that weeds, bushes and branches don’t obstruct the AC unit. In case the coolant pressure is fine, the compressor may be faulty and need overhauling or replacement. Troubleshooting an AC that won’t turn on requires you to eliminate possibilities one by one. This article on what to do if the AC doesn’t turn on may help you narrow down the problems. Skip this step in case you’ve already checked the switches and circuit box for breakers that need to be reset. In case the AC is not powering on, you may need to check the circuit breakers which are in the ‘Off’ position, or somewhere between ‘On’ and ‘Off’. You can also check if the AC’s reset switch is off. You would probably have checked the thermostat battery already, but if not, this could be a possible reason for the AC not turning on. Simply open the thermostat panel and replace the battery. 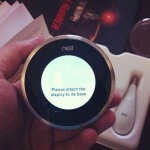 One the other hand, if the thermostat is faulty, it’s best to get a professional to fix it. Placement matters, not just connections. The thermostat has to be in a location where it will accurately measure the temperature and not pick up exceptionally hot or cool drafts. 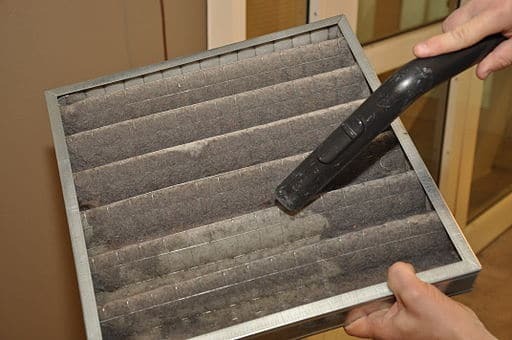 Assuming the above items check out, it’s time to check the air filters and clean or replace them if required. A dirty filter will cause a low-pressure switch to trip and shut down your AC’s compressor to prevent it from being damaged. A clean filter will ensure this doesn’t repeat. If the air conditioner motor stops working, the air conditioner won’t turn on. Call a professional to examine the wiring leading to and from the condenser unit. If the motor is faulty, you’ll need to decide whether to fix the motor or replace it. In some cases, replacing the motor might be a cheaper option. The leading cause of a leaking AC is a clogged condensate drain line. If the drain line gets clogged with dirt, sludge or mold, it leads to a leak. One way to unclog the drain is by using a wet/dry vacuum on the condensate line. You should also check if the condensate pump is unplugged or the safety switch left open. Condensate pumps can usually be found just above the floor, against the indoor unit. The condensate pump may have a safety switch which gets turned off if the pump is completely full of water. If this is the case, make sure the pump is plugged in and the vinyl tubing is clear of dirt or debris. Next, check the AC coil to see if it is dirty. A coil covered with dirt and grime is less effective at channeling the water into the drain, and also leads to a clogged drain. Give the coil a thorough cleaning to prevent leaks and clogged drains. Another problem could be an iced or frozen coil, due to the reasons listed in the section on frozen AC. If an icy coil occurs, the ice will at times melt rapidly, overwhelming the drain pan and pooling onto the floor, causing many of the same problems as a dirty coil. Among the causes for the AC not cooling, or leaking too much is low refrigerant levels or too much refrigerant, which can only be recharged by a federally licensed HVAC technician. Another possibility is a problem with your blower fan or refrigerant lines, which you should ask an HVAC professional to check. While there is a lot that you can do yourself to fix issues with your AC, at some point you may run into a problem that calls for a professional. Tinkering with the motor, compressor or electrical components is not recommended both for your safety, and to prevent damage to the system. If a fix you’ve applied yourself only works temporarily, it is time to call in a professional who can permanently solve it. Many of the problems you run into with ACs can be prevented with some regular maintenance that you can do yourself, like replacing dirty filters or changing thermostat batteries. However, if you do run into the problems discussed above, you are now equipped with the knowledge to diagnose and hopefully fix the issues yourself. If you get overwhelmed at any point, just call a professional to take a look. Happy DIY’ing! Editor’s Note: This is a guest post by Bob Wells, a retired HVAC tech who now dedicates himself to sharing knowledge on his website HVAC Training 101. Bob worked over 30 years in the field, 23 of which he ran his own contracting business. He’s dedicated to keeping up with the latest developments in the field and helping others to learn the trade better and advance their own careers.